Patricia, congrats on your debut novel, Shadow on the Crown and thank you the pleasure of an interview. I was so delighted to receive an ARC of your book and I absolutely loved your story! You wrote about one of my favorite female heroines and time period in history. Could you please tell your audience about your story? Thank you, Stephanie. I’m honored to be interviewed and thrilled that you liked my book. 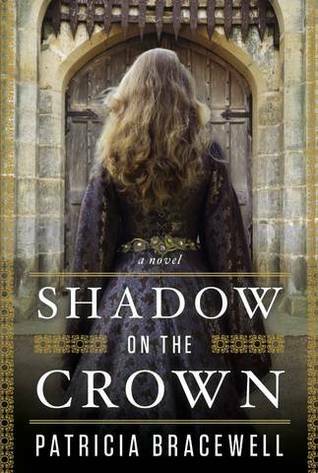 Shadow on the Crown is about a remarkable historical figure, Emma of Normandy, who was sent to England in 1002 as the peaceweaving bride of the king, Æthelred II. Thrust into a hostile court filled with intrigue, suspicion and the constant fear of attack by Viking raiders, Emma must negotiate the moods of a haunted king and the schemes of powerful men in order to secure for herself a position as something more than just a royal hostage. The choices that she makes shape not only her own future, but the future of England as well. Emma falls in love with someone other than the King. Without giving who it was away, could you please tell me if their relationship was real or fictional? The relationship in my book is purely fictional, although it wouldn’t have been impossible. Who can say? It is an echo, though, of a real event that occurred in the 9th century when a Frankish princess wed an Anglo-Saxon king and then…well, interesting things happened. Were there any research challenges you faced? There were several challenges, and one of the biggest was discovering the facts of Emma’s life. Her birth date, her land holdings, her role in Æthelred’s court and household, her relationships with her husband’s children by his first wife – none of that was of interest to the historians of the time. What we know of it is all conjecture drawn from wills, charters, the Anglo-Saxon Chronicle, and, frankly, hearsay that’s been passed off as fact. It’s like trying to draw someone’s face when all you can see is their shadow. What led you to write about Emma? I first read about Emma in an on-line bulletin board about a dozen years ago. I considered myself fairly knowledgeable about English royalty, yet I found myself reading about a queen I’d never heard of who married two different kings of England and who had also been mother to two kings of England. I began to research, and the more I learned about Emma the more fascinated I became, and the more astonished I was that she had been relegated to little more than a footnote in history. I wanted to write a book that would make her name just as familiar as those of the Tudor queens. Will there be other books to follow about Emma and this time in history? Yes. This novel is the first of a trilogy about Emma of Normandy, and I am working on the sequel now. I’m taking my time, because the next two books will cover the final, turbulent years of the reign of Æthelred II, and there are huge opportunities for dramatic tension and conflict. The jacket designer was Kristen Haff. She has a website that displays many of the book covers that she’s done for Penguin. I hope she posts mine there because I think she did a marvelous job. The photographer was Richard Jenkins, who is based in the U.K.
What advice would you give to anyone who wants to write Historical Fiction? Take a deep breath and throw yourself into the research, but when it comes time to write your book, remember that you are a storyteller, not a historian. Be true to the history, but always remember that a good story is about people and their emotions, their relationships and their conflicts; it’s not about historical minutiae, however accurate it may be. Don’t get lost in it. I must have been about twelve when I decided that I wanted to write novels, but it seemed like nothing more than a girl’s impossible dream. In college my Creative Writing professor was not terribly encouraging, and I realized that being able to write well did not necessarily make one a novelist or even a writer. I put that dream aside and focused on earning a living as a teacher, but the desire to write never went away. When I finally decided to scratch that itch, I focused first on essays, then short stories, and finally I turned to my first love – the novel. I produced two manuscripts that are now sitting in a box on the top shelf of my closet, and then I began work on Shadow. If you had to choose just one book that is your favorite? What would it be? That’s a really hard question to answer, as I’m sure you know. Today’s favorite, out of the thousands of books I’ve read in my life, would be Kissing the Witch by Emma Donoghue. It’s a re-spinning of thirteen familiar fairy tales in a way that is surprising and a little subversive. Donoghue’s writing is radiant. I’m reading an ARC of A Teaspoon of Earth and Sea by fellow Penguin author Dina Nayeri. Her book debuts the same day as mine. It’s about a young woman who has to find a way to survive in a harsh, repressive world – not unlike Emma. But Dina’s book is set in 1980’s Iran. I’m also listening to an audio book: Nancy Bilyeau’s Tudor mystery The Crown. Just now we’re wandering the maze of corridors in the Tower of London. My “To Read” stack is taller than I am! Up next, Parlor Games, Maryka Biaggio’s historical novel set at the turn of the last century. But please don’t think I only read female authors! I’ve just finished reading books by Bernard Cornwell, Robert Low and Oscar Wilde, all of which I enjoyed very much. Patricia Bracewell grew up in Los Angeles where her love of stories led to college degrees in Literature, a career as a high school English teacher, and a yearning to write. She has travelled extensively in Europe, Asia and South America, both for research and for pleasure. She enjoys gardening, tennis, and, of course, reading, and she is a passable guitarist and folksinger, although her writing leaves her little time these days for practice. She lives in Northern California where she met and married her Canadian husband and where they raised their two sons. Author Martin Crosbie talks about pricing e-books over at BRAG! Come on over and see what he has to say on the subject. Available from Ingram Book Group, Baker & Taylor and iUniverse, Inc. J.D.R., thank you for the pleasure of an interview and congrats on winning the BRAG Medallion for you novel, “A Beautiful Glittering Lie. ” Your story takes place during a crucial time in our history. Could you please tell me about your story? Hiram travels to Virginiawith the Fourth Alabama Infantry Regiment. Although he doesn’t intentionally seek out adventure, he is quickly and inevitably thrust into combat. In the meantime, David searches for adventure at home by traipsing to Huntsville with his best friend, Jake Kimball, to scrutinize invading Yankees. Their escapade turns sour when they discover the true meaning of war, and after two years of service, Hiram sees enough tragedy to last a lifetime. A Beautiful Glittering Lieaddresses the naivety of a young country torn by irreparable conflict, a father who feels he must defend his home, and a young man who longs for adventure, regardless of the perilous cost. The story inspired itself, so to speak. I took a trip to Gettysburg a few years ago. It was the first Civil War battlefield I had ever seen, and I was so impressed that I was inspired to write a novel. Not about commanding officers, or warfare tactics, but about a typical Southern soldier. He doesn’t own slaves, and he brings his horse with him to enlist with the cavalry. This book, A Beckoning Hellfire, led to two more sequels and a prequel. A Beautiful Glittering Lie is that prequel. It is the first book in the Renegade Series. What was some of the research involved? My research was extensive. I spoke to numerous authorities on the Civil War, delved into hundreds of old tomes at the library, requested books from other libraries, researched online, and travelled to various battlefields to get a first-hand look at the terrain and speak to park rangers about the battles. My primary resource for this particular novel is the journal of R. T. Cole, who was an adjutant with the Fourth Alabama Infantry Regiment. Could you please tell me a little about the fictional aspects to your story? Although the book is based on one soldier’s journal, most of the main characters in the story are fictitious, including the Summers family and their friends. In my opinion, writing fiction is more interesting, because the characters are able to converse, therefore enabling the reader to become a part of the story and get inside each character’s head. What advice would you give to someone who would like to write about this period of time in our history? My advice is to thoroughly research your topic first. Many people out there are avid Civil War fans who won’t hesitate to call you out if you make a mistake! Your book cover is stunning! Who designed it? My book cover was designed by my publisher. However, I found the artwork for it myself. The painting is entitled “Up Alabamians!” by Don Troiani. At the moment, I am working on several projects. I just finished a nonfiction book about the Civil War, as well as a novel set in the 1930’s. My next project will be a memoir, which takes place in Ireland. I would consider self-publishing again. It is a quick, effective way to get your book in print, and you have a lot more control over the finished product. Self-publishing is slowly developing acknowledgement and respect in the book world. Many authors use both traditional and self-publishing companies simultaneously. I was alerted to the contest through Writers Market. My favorite genre is historical fiction, although I am a fan of mainstream fiction as well. I am partial to paperbacks, although I read e-books on occasion. My novels are available in both formats, as well as hard covers. J.D.R. Hawkins is an award-winning author who has written for newspapers, magazines, newsletters, e-zines, and blogs. She is one of a few female Civil War authors, uniquely describing the front lines from a Confederate perspective. Her Renegade series includes the debut novel, A Beckoning Hellfire, recipient of two awards. Her new prequel, A Beautiful Glittering Lie, is also an award winner. Both books tell the story of a family from north Alabama who experience immeasurable pain when their lives are dramatically changed by the war. Ms. Hawkins is a member of the United Daughters of the Confederacy, the International Women’s Writing Guild, and the Mississippi Writers Guild, and is an artist and singer/songwriter. 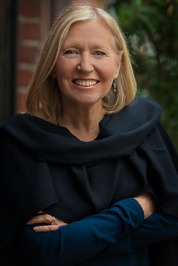 She recently completed a nonfiction book about the War Between the States, as well as two more sequels for her Renegade Series. Learn more about her at www.jdrhawkins.com. We are delighted that Stephanie has chosen to interview J.D.R. 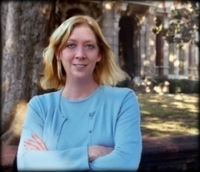 Hawkins who is the author of, A Beautiful Glittering Lie, one of our medallion honorees at http://www.bragmedallion.com. To be awarded a B.R.A.G. MedallionTM, a book must receive unanimous approval by a group of our readers. 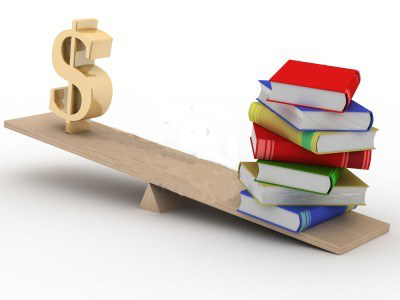 It is a daunting hurdle and it serves to reaffirm that a book such as, A Beautiful Glittering Lie merits the investment of a reader’s time and money. 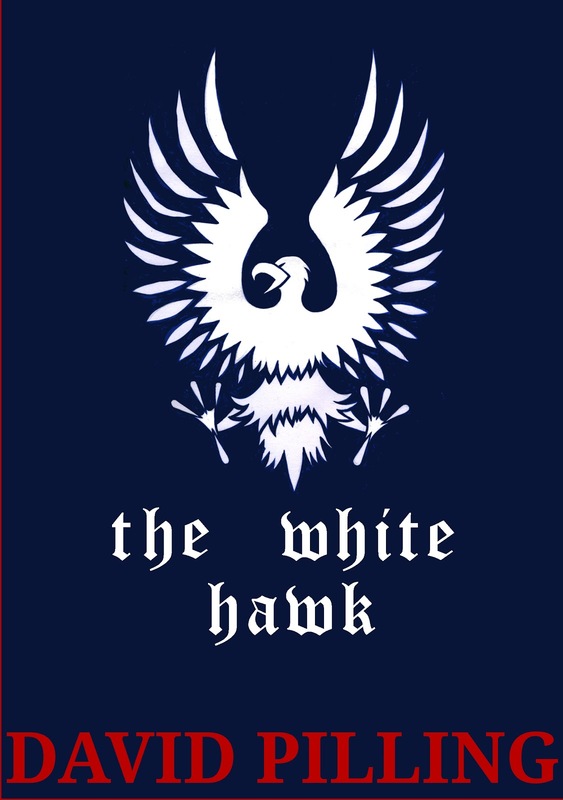 The White Hawk takes place during fifteenth century in England and explores two rivals-Lancaster and York-who is at civil war with each other and is tearing the country apart. Henry VI is king and is unable to prevent these tragic events. He has no stomach for politics and is too weak to fight. This story also, follows the Bolton’s, a family who is caught up in this civil war and struggles to survive. They are loyal to the house of Lancaster and as the story begins with a battle scene-lives are lost, families are torn apart and revenge for the death of love ones takes hold and bad decisions are made and more lives are destroyed. One of the first things about, “The White Hawk” that I was impressed with was the opening scene-a battle-very dramatic and detailed. Pilling gives you a clear picture of war, revenge and continuous political instability throughout this period. As the plot unfolds and his characters come to life-I was enthralled in such a way- I found myself holding my breath and clinching my teeth anticipating what is going to happen to next. 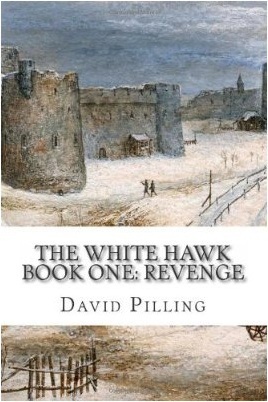 Pilling gives the reader a tremendous amount of history and he depicts medieval history brilliantly. One can tell he does his research and takes his findings seriously. I highly recommend this absorbing book to anyone who enjoys this period of time and who is looking for well-written historical fiction. David, if you had lived during the time your story is set in, which side would you be on? Lancaster and York? Even though my father is from Lancashire, and my story is told from the viewpoint of a family of Lancastrian loyalists, I would probably be for York. England was in a terrible state under the Lancastrian King Henry VI, and the Duke of York’s faction (initially) wanted to reform the government. Something that was badly needed. Realistically, though, I would probably have been some no-mark peasant, and like most of the rest of the population merely done my best to survive in an extremely nasty world! Even though Richard is my favorite character in your story, it seems to me like the act of revenge is a vicious circle and it makes a person make very mad or poor-if you will- decisions. Do you think Richard was justified in taking out his revenge? Or were any of the other characters justified? Richard is a man of his time and so perhaps it is inevitable that he should seek revenge for his father’s death in battle. This was exactly the sort of vicious cycle that caused much of the English baronage to wipe each other out during this era. I think Richard’s desire for revenge is understandable, but some of his actions in pursuing it are unjustified and self-defeating. The same could be said for some of the other characters (fictional and non-fictional) in the book. What interests you the most about this period? The sheer level of brutality and the insane power politics, as well as the cyclical nature of events: the Wars of the Roses were very similar in many respects to the various Barons’ Wars that had preceded them, but no-one seemed keen on learning the lessons of history. Once again, as during the reigns of Henry III and Edward II, England had an incompetent king on the throne, and once again this led to the kingdom disintegrating into factionalism and civil war. Who is your favorite historical character you have written about in your story and why? That’s a difficult one. I’m rather fond of York: he’s torn between his natural ingrained loyalty to the crown, and his own ambitions and desire for reform. Taken in all, he was a rather strange and enigmatic character, and an interesting one to try and interpret. 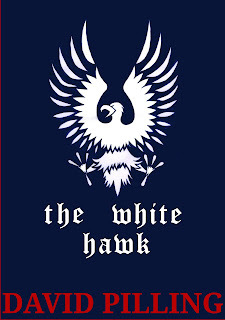 How long did it take you to write, The White Hawk? About five or six months, editing and revisions included!